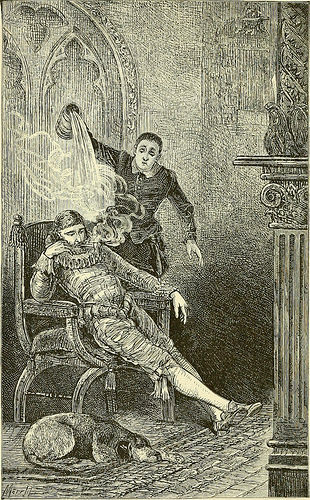 Sir Walter Raleigh introduced tobacco from Virginia to Ireland and England. He is also said to have introduced the potato to Ireland following his expeditions to South America. During his time as a landlord in Ireland from 1585 to 1602 Raleigh lived at Killua Castle, Clonmellon, Co Westmeath and occasionally at Youghal Co Cork. 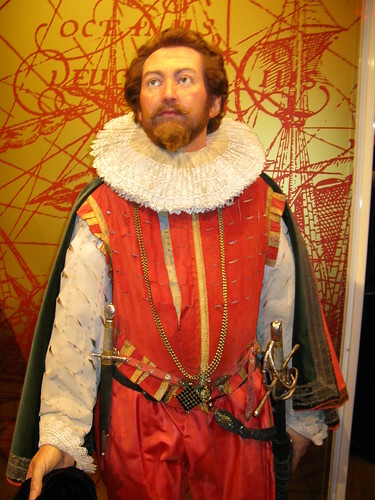 Walter Raleigh was born around 1554 and grew up on a farm near the village of East Budleigh in Devon. During the Wars of Religion in France he fought, at the age of 17, on the side of the Huguenots. He returned to England in 1572 and entered Oxford but left without a degree. He later studied law at the Middle Temple. During the Second Desmond Rebellion in Ireland Raleigh gained distinction as a soldier in the army of Queen Elizabeth 1. He played a leading and ruthless role in the suppression of the Rebellion in Munster. He was present at the siege of Smerwick in September 1580. 600 papal troops had landed at Smerwick in Kerry in support of the Desmond Rebellion. They were surrounded by forces loyal to Elizabeth 1. They surrendered after two days and were massacred. Following the suppression of the Rebellion Raleigh was granted large estates in Munster including the towns of Youghal and Lismore by Queen Elizabeth I. He did not manage the estates very well. After 17 years in Ireland he sold the estates to Richard Boyle 1st Earl of Cork. Raleigh began to explore North America during his time in Ireland. He helped prepare for settlements to be established in what is now North Carolina. He named it Virginia in honour of Queen Elizabeth 1 who was often referred to as the virgin queen. It was during these trips to America that tobacco was brought to Ireland and England. In 1592 Raleigh married Bessy Throckmorton who was a maid-of-honour to Queen Elizabeth 1. The marriage enraged the Queen and she imprisoned both Raleigh and his wife in the Tower of London. 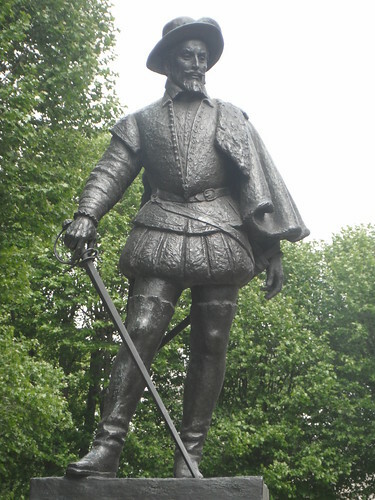 He was later released and in 1594 led an expedition to South America in search of gold. Little gold was found but his later successes against the Spanish restored him to the Queens favour. When Elizabeth 1 died in 1603, Raleigh was imprisoned, accused of plotting against her successor James 1. He was found guilty of treason but King James spared his life. He was imprisoned and not released until 1616. He set out in search of gold again in South America. He antagonised King James by invading Spanish territory and on his return to England his sentence for treason was re-instated. Sir Walter Raleigh was beheaded at the Palace of Westminster in the year 1618 On This Day.